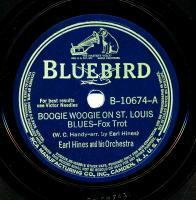 Earl Hines and his Orchestra performing Boogie Woogie On St. Louis Blues / Number 19. Record is in VG+ / VG++ condition, plays quite nicely. Labels are good. 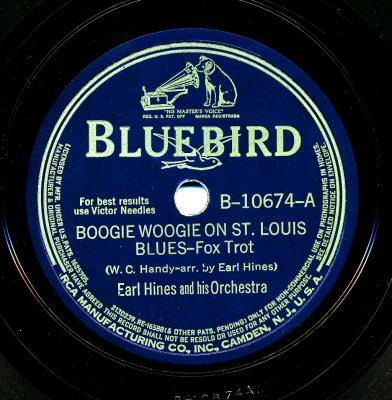 1940 issue; recorded in New York, February 13, 1940. Terrific and Scarce Big Band Swing Jazz 78 in Nice Condition.